I’ve always been a big Ralph Bakshi fan, ever since I saw Fritz the Cat as an impressionable youngster. However, it’s his more subtle and subversive work that I have began to favour as I have grown. Movies like Hey Good Looking and Coonskin seem to be speaking to me more. This movie sits between some of Bakshi’s more socially aware fare and his love of fantasy, crafting something stunning with clear parallels to globalisation and the prevalence of worldwide corporations. Fire and Ice is so cinematic in it’s presentation that I almost forgot it was animated. With lush watercolour backdrops and minimum exposition, the movie only slows down for the inevitable love story. The pacing is good, the characters are well drawn (geddit?) and the action sequences are brutally violent. It’s fantastic. 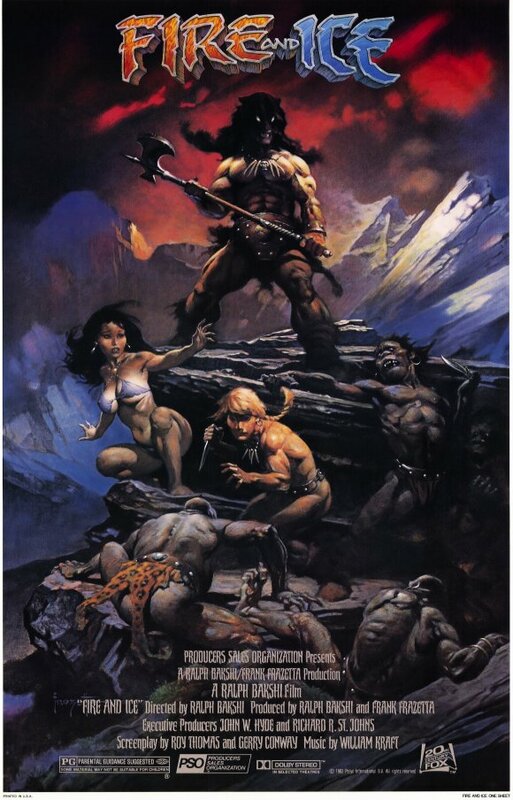 This entry was posted in Film and tagged animated, Epic, Film, Ralph Bakshi, Review, Sword & Sandal. Bookmark the permalink.